Some time ago founder member of the Warhol Cover Collectors Club, Kevin Kinney, found a variant of the “MTV – High Priority” LP cover that few, if any, of us knew existed. Instead of the red shading to the MTV-logo on the front, the shading was yellow and the titles along the top of the front cover were in black print instead of white, red and blue. I’ve been checking every copy that I have seen on Ebay looking for a yellow version but to no avail. Then one came up a week or so ago and I was about to “buy it now” when it disappeared. Fellow collector Niklas L had seen it first and nabbed it! But, having sent Niklas some of my fabricated “Progressive Piano” and other covers for his collection he very generously thanked me by sending the yellow “MTV – High Priority” album together with André Heller’s “Stimmenhögen” LP. Even this turned out to be unusual. Two versions were listed on Rate Your Music – one on the Electrola and one on the HMV label. The copy Niklas sent me was also on the HMV label, but with a completely different catalogue number from those listed on RYM. The only reason to have the Heller LP is the fact that the booklet inside the gatefold has a little Warhol drawing on one page (pictured above). In 1981 Heller was photographed by Warhol and two Polaroids from this session were recently sold by Christies. Two original Polaroid prints of André Heller taken by Andy Warhol in 1981 recently sold at Christies. 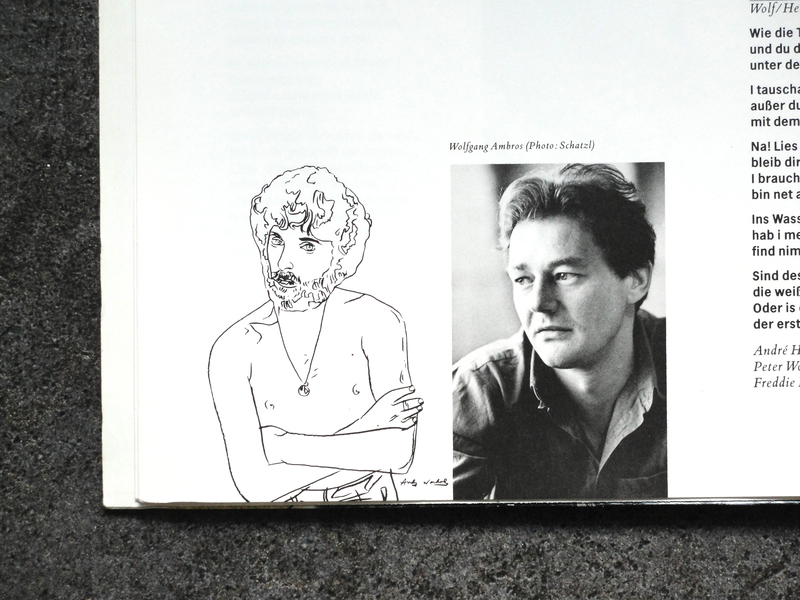 The picture in the lyric booklet is probably Warhol’s portrait of Heller which, judging by Heller’s pose with arms crossed must have been done on that occasion. It fits with the Polaroids, which show him bare to the waist, arms crossed and wearing leather trousers. I suppose Heller chose to include the drawing to show that Warhol had done a portrait of him. I do not suppose that Warhol did the drawing specifically for this record cover. One could argue that the Swan Lake and Daphnis & Chlöe albums from 1955 with Warhol drawings fall into the same category, but Warhol did those drawings specifically for the albums and they illustrate the ballet content. However, one could say that the portraits on the covers of many albums definitely listed as being Warhol covers (Aretha Franklin, Billy Squier, Paul Anka, Liza Minnelli, John Lennon etc.) were not painted specifically for the record covers. So do I include the Heller album as a bona fide Warhol cover or not? 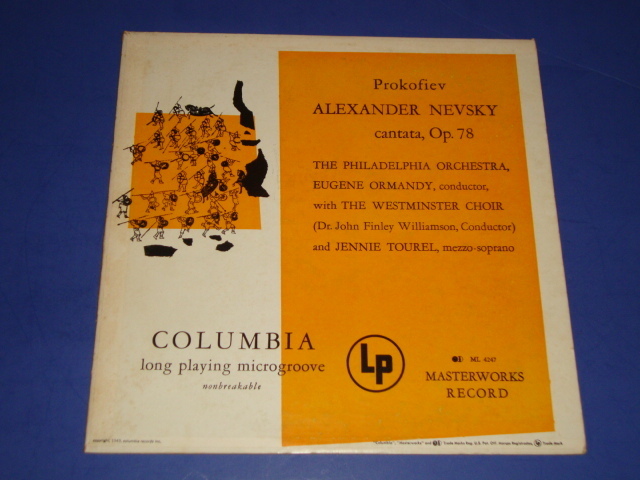 An unusual copy of Prokofiev’s “Alexander Nevsky” LP came up on Ebay last week. This had the original 1949 cover design but with orange colour blocks. I have previously seen blue, green and pink versions, but never an orange one. and I wonder if the colour variations were later pressings of the album. This one definitely is. 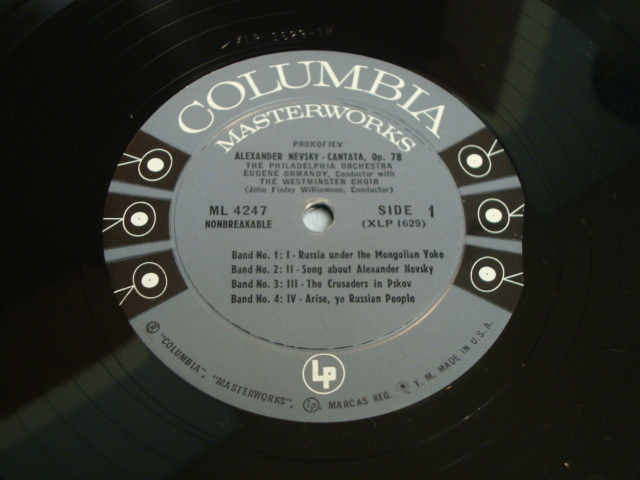 The record has Columbia Records’ “6-eye” label rather than the Dark blue Columbia Masterworks label used since the introduction of the LP in 1948. According to Ron Penndorf’s Labelography the grey”6-eye” label was introduced in 1955 and phased out in 1962. As may be seen from the label picture, the designation “Unbreakable” appears to the left of the spindle hole, indicating – again according to Labelography – that this is a later pressing; probably late fifties or early sixties. I find it fascinating that Columbia chose to keep the original cover design from 1949 on this repressing rather than commission a new cover. 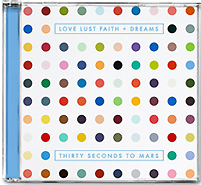 Damien Hirst has not yet designed many record covers. So far I have identified only twenty-three. I am primarily interested in those covers released on vinyl, but for completeness have also included CDs in my list on http://www.rateyourmusic.com (http://rateyourmusic.com/list/rockdoc/damien_hirsts_record_cover_art/). There are three quite rare vinyl issues: The most soughtafter is “Use Money, Cheat Death” by Damien (spellt on the record as Damian) Hirst that uses the Kate Moss portrait with half her face dissected away as the cover image. This picture was originally on the cover of the February 2006 issue of TAR magazine. The other two rarities are Dave Stewart’s “Greetings From the Gutter” and the original release of Joe Strummer & The Mescalino’s “Rock Art & the X-ray Style“, which has since been re-issued on vinyl with the same cover. 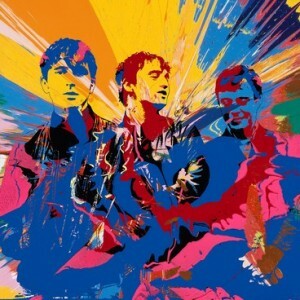 British group Babyshambles released their fifth full length album on 2nd September 2013 with cover art by Damien Hirst who used a photo of the band taken by Pennie Smith (who, you will remember, took the photo of The Clash used on their “London Calling” album.) NME reports on how Hirst came to design the cover “bassist Drew McConnell said: “It happened kind of naturally and in the spirit you’d hope for. We asked Damien to suggest someone to put something together, then to our amazement he offered to do it himself. 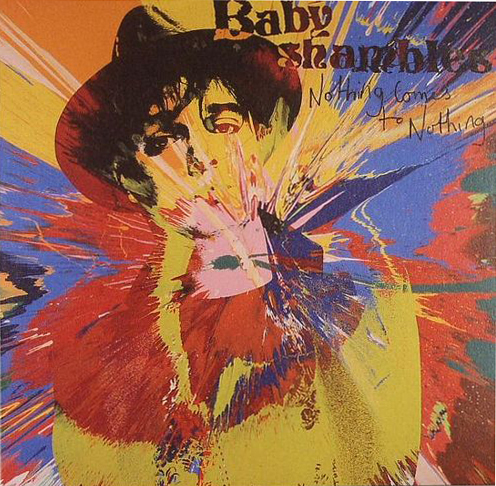 The fact that he used a pic taken by Pennie Smith, who shot all those iconic photos of The Clash (Damien’s old pal Joe Strummer’s band), just makes it make even more sense.” “Nothing Comes to Nothing”, the first single from the album also comes in a Damien Hirst designed cover.